Before Thanksgiving arrived, I was already anticipating Christmas. I had a queue of holiday movies prepared and had ordered my first gingerbread mocha of the season at the local coffee shop. Each day was meticulously checked off the calendar, the 25th circled with a black sharpie as the prize. However, what I didn't anticipate was that after Thanksgiving passed, so would my excitement for Christmas. I fell back into the everyday routines, and the holiday faded from the forefront into the back of my mind. Though I set up a tiny tree in my apartment, the holiday feeling didn't hold. I spent the next few weeks bundled up in my small town, doing all of my Christmas shopping online instead of venturing out to the packed malls. Even the car radio didn't get me in the spirit, refusing to pick up any stations playing holiday music. It was that "special time of year," but it didn't feel like it yet, as least not to me. So, with a week before Christmas, I gave myself an intervention. After the fiasco with baking last weekend, it felt right to give sugar cookies a try again. For the last few years, I've set aside a day just for myself, to bake and decorate while watching an endless stream of cheesy holiday movies. With a pastry bag in hand, the tales of holidays gone awry, of single mothers finding love, of corporate employees realizing family is most important, of women falling in love (with Santa), of Christmas wishes coming true, feel like the holiday season to me. Yesterday I set aside this time for myself. After heading to bed, with a kitchen counter full of drying cookies and a heart full of holiday buzz, I want to say mission accomplished. Chocolate Sugar Cookies are a delicious alternative to the traditional sugar cookie. The base is a standard sugar cookie with cocoa powder to give it a deep chocolate flavor. Use a high quality cocoa powder for the best character. As with my classic recipe, these cookies bake up flat, providing a smooth surface for decorating, and stay soft for several days. The cookies also freeze well so they can be prepared days or several weeks in advance. In a large mixing bowl, beat together the butter and sugar until light and fluffy, about 3-5 minutes. Add in the eggs one at a time, mixing well between each addition. Beat in the vanilla. Mix in the flour, cocoa powder, baking powder, and salt until well combined. Wrap the dough in plastic wrap and refrigerate for one hour to firm up the dough. Preheat oven to 350 degrees F (180 degrees C). 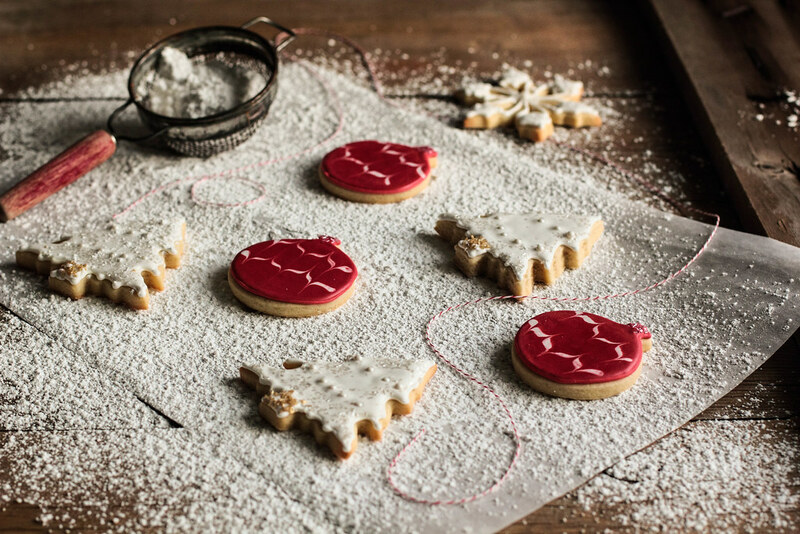 Line baking sheets with parchment paper or a non-stick baking mat for best cookie removal. 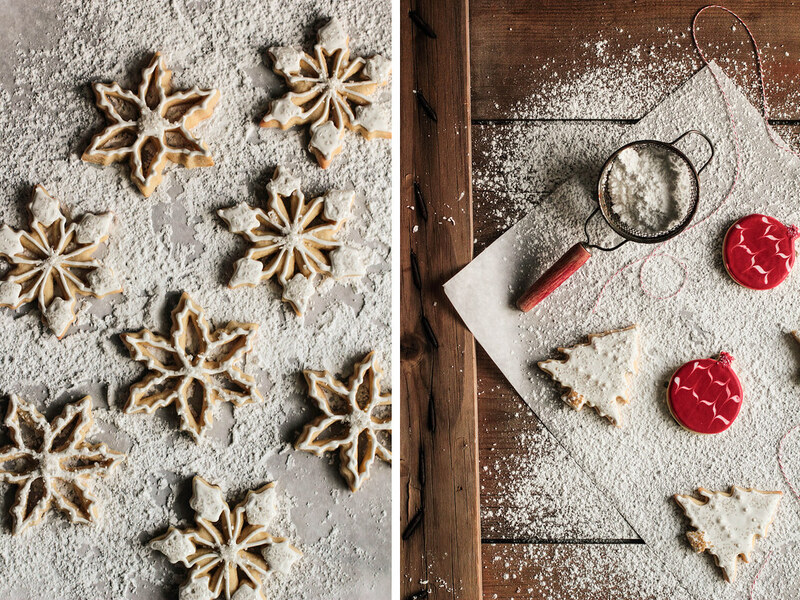 'Tis the season for sugar cookies shaped like trees and snowflakes. I recently spent an afternoon making 6 dozen cookies and, for the first time in my life, only a handful of cookies didn't turn out just right. After years of making sugar cookies that spread too much or baked unevenly, it seemed I had finally figured out the trick to perfect sugar cookies. It would be selfish not to share these tricks with you. 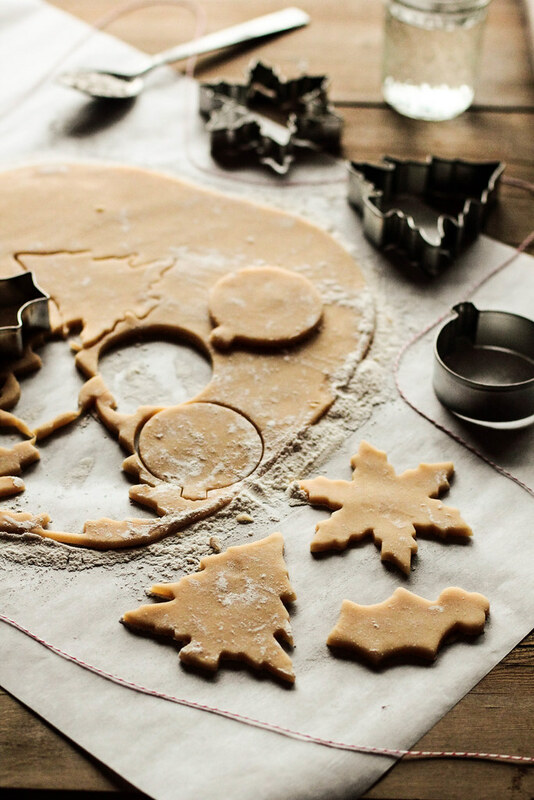 The real secret to perfect cookies? Refrigeration. 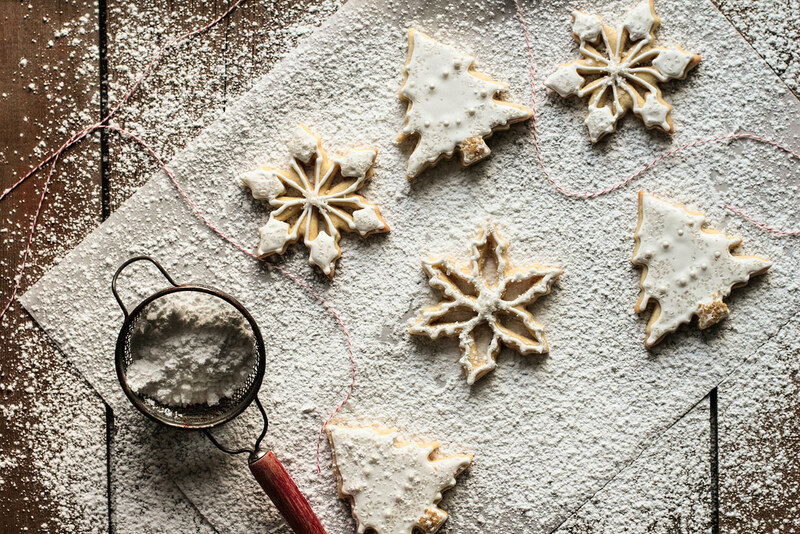 Refrigerate the sugar cookie dough for at least 1 hour before making the cookies. This helps the dough roll out cleanly and helps the cutout cookies keep their shape when transferring them to the baking sheet. Any dough you are not currently using should be kept in the refrigerator. Roll out the dough on a lightly floured surface. You want the cookies to easily release from the surface, but you also do not want to incorporate much flour into the dough or it will give you problems later. Roll out the dough at least 1/4-inch thick and take care to keep it even. This keeps the cookies thick and soft, helping to prevent over-baking. Once the cookies have been transferred to a baking sheet, immediately place the baking sheet in the freezer for at least 5 minutes. This helps solidify the butter in the cookies and it will prevent the cookies from spreading at all during baking. The cookies should be hard to the touch before going into the oven. 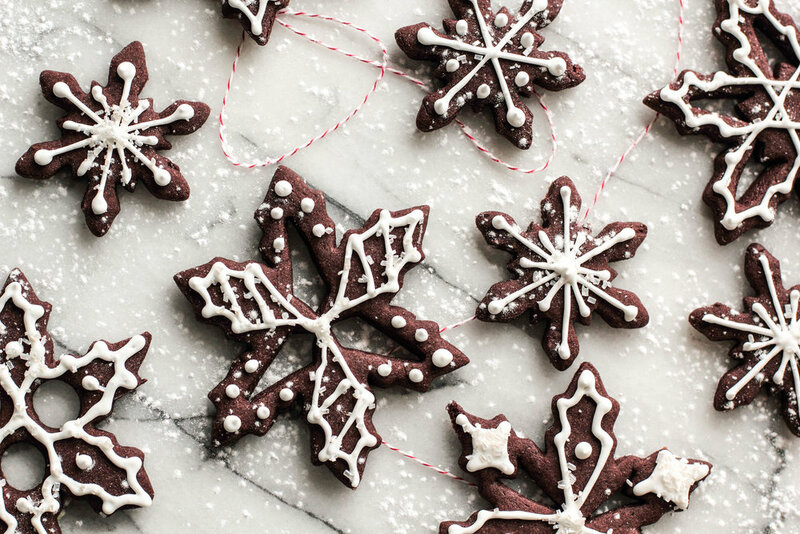 (If you live in a cold climate, I suggest taking advantage by placing the cookies outside on a deck or back porch if you don't have much freezer space). Do not over-bake the cookies! Most recipes call for the cookies to bake for 6-8 minutes. You want to pull the cookies out of the oven before you see the edges begin to brown. A hint of brown means the cookies have already over-baked. To prevent this, you may need to do a test batch with a cookie or two to find the perfect time for your oven. Set a timer to keep the baking time consistent. Allow the baked cookies to rest on the baking sheet for a few minutes to firm up before transferring to a cooling rack. Immediately put the empty baking sheet back into the freezer to cool down for at least 5 minutes. This prevents the warm cookie sheet from melting the butter in the next batch of cookies and causing the cookies to spread. When rolling out the dough for a second time, I like to knead half the previously rolled out dough with fresh dough for at least a minute until they are completely mixed together. Usually when dough is rolled out a second or third time, the quality of the dough decreases because it becomes warm or the flour from the surface makes pockets in the dough, causing uneven cookies to form. Kneading the dough gets rid of the flour pockets and the addition of the fresh, cold dough helps bring the temperature back down. Repeat, repeat, repeat. The refrigeration between batches might seem like a bit of extra work at first, but you will truly see the results when you find yourself with a batch of perfect cookies. I prefer to bake the cookies on an insulated baking sheet because it keeps the bottoms of the cookies from browning. Non-insulated baking sheets may slightly brown the bottom of the cookies in the same length of time. 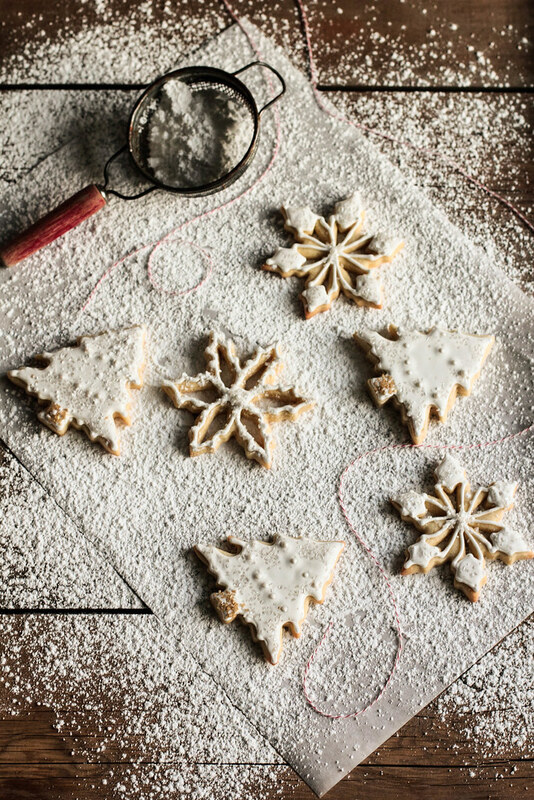 To freeze cutout cookies, layer them in an airtight container by placing wax or parchment paper between each layer to prevent the cookies from sticking together. 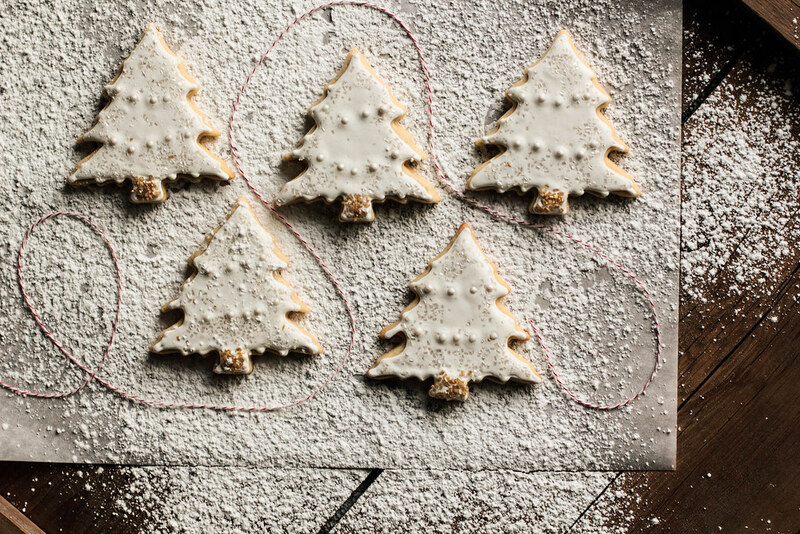 To thaw, place the frozen cookies on a baking sheet and thaw for 5-10 minutes. Cookies can be frozen for 1-3 months. Pssst. 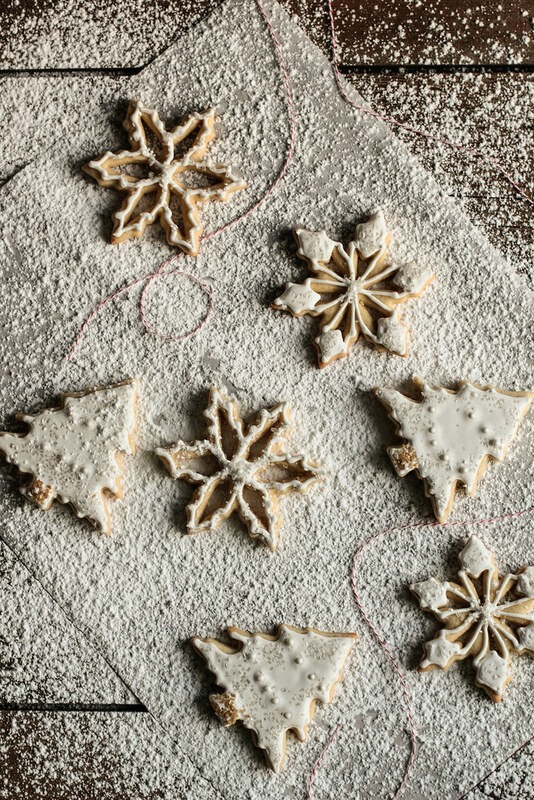 Here is a link to my favorite sugar cookie recipe. And now, for something completely different, it's time for a cookie giveaway! I thought it would be fun to send out a tin of homemade holiday cookies to you. Yes, you! 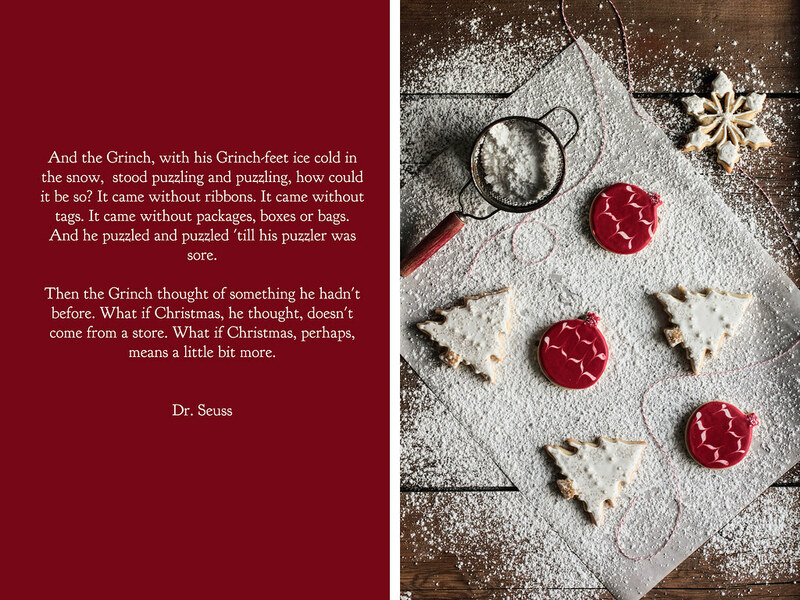 And so this holiday season, three lucky readers will find a box of handmade cookies sitting in your mailbox. I did something quite similar last year and found it so lovely I wanted to do it again. I want to share in the season of giving with you! Leave a comment below and tell me about your favorite holiday tradition. Make sure to include your email address when filling out the comment form so I can get ahold of you! You must live in the United States or Canada. I unfortunately cannot afford to send the cookies any further at this point (and I fear they may arrive shattered/stale if they traveled overseas). The contest will end on Wednesday, December 12th at 10 pm (CST). The winners will be chosen randomly and announced on Facebook and Twitter immediately thereafter (and on here Thursday morning).